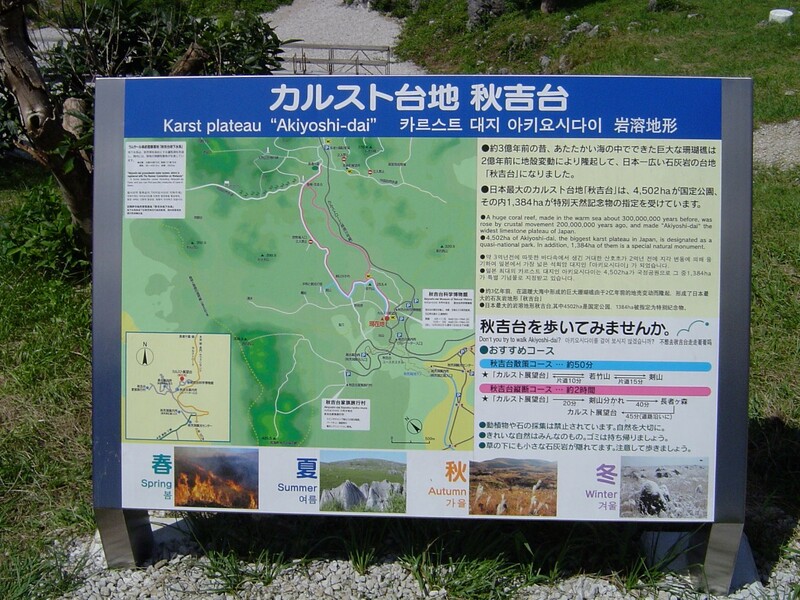 Akiyoshidai (秋吉台) is the largest karst formation in Japan and is located northwest of Yamaguchi City in Yamaguchi Prefecture. This unique section of Japan covers a total of 130 square kilometers and contains more than 300 caves. Most of the caves are small and inaccessible to the casual tourist but among the caves is Akiyoshido, the largest cave in Japan. This area of scenic beauty makes for a highly enjoyable day trip. 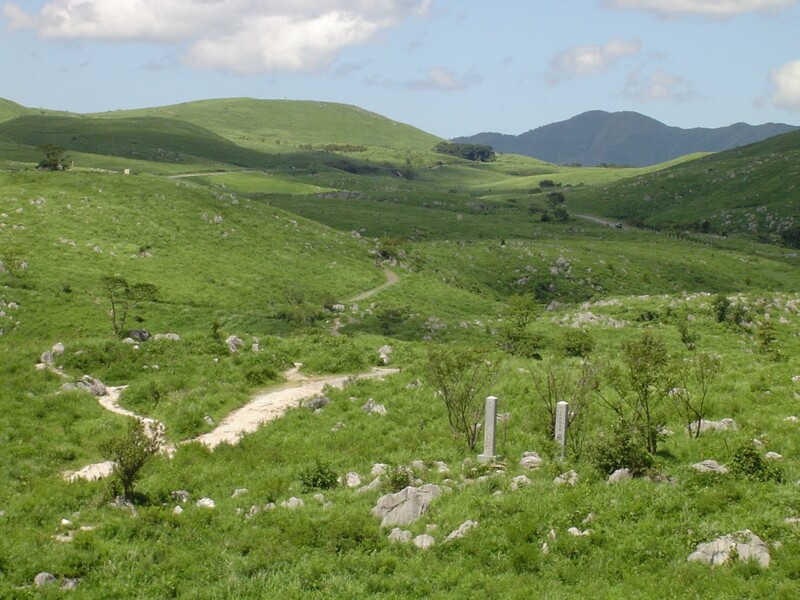 Frankly, it is very refreshing to be able to hike around an area of natural beauty in Japan and see nary a power pole, convenience store or concrete retaining wall. The area's interesting geology has its roots in the Paleozoic Era (543 to 248 million years ago). Three hundred million years ago, the plateau was a large coral reef. Fossils from Fusuline, Coral, Brachiopod, Bryozoons and Calcaleous algae are abundant in Akiyoshi Plateau's limestone rock. Today, the plateau is well above sea level and is famous for its lush pampas grass landscape which is spotted with grey limestone boulders. 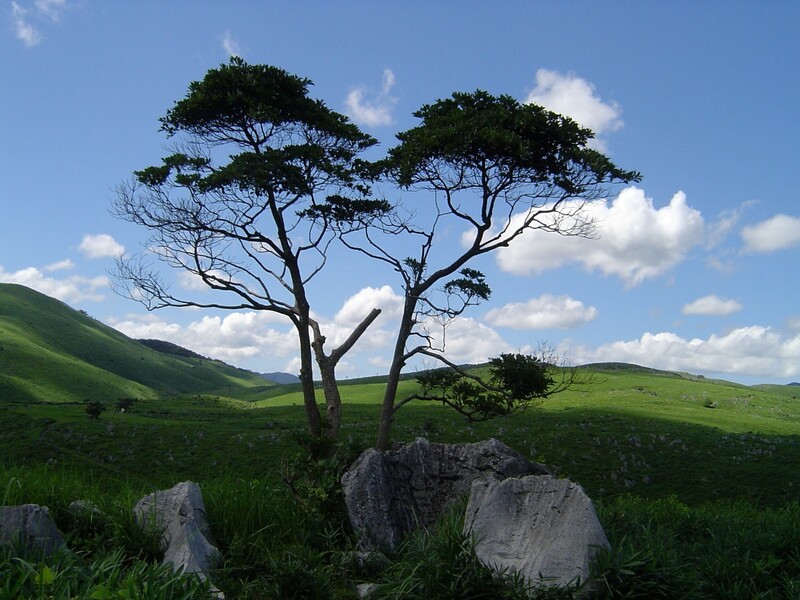 The area was once heavily forested about 500,000 years ago, but as farming started in Japan the local people eventually entirely replaced the landscape with Japanese pampas grass for feeding their animals and thatching houses. Repeated cycles of burning the grass have kept the trees from growing back since. This chaotic rolling hilly type of landscape is created over many thousands of years. Large deposits of water soluble rocks (usually limestone or dolomite) under the ground slowly dissolves when water carrying carbon dioxide (an acid) seeps into cracks. This action and the varying resistance of the rock to dissolving creates sinkholes, caves and other features. The word karst comes from Slovenian words kar (rocky) and hrast (oak). The scenic highway route 32, Akiyoshidai Skyline, goes from the entrance to Akiyoshi cave in the south through the park to the north. 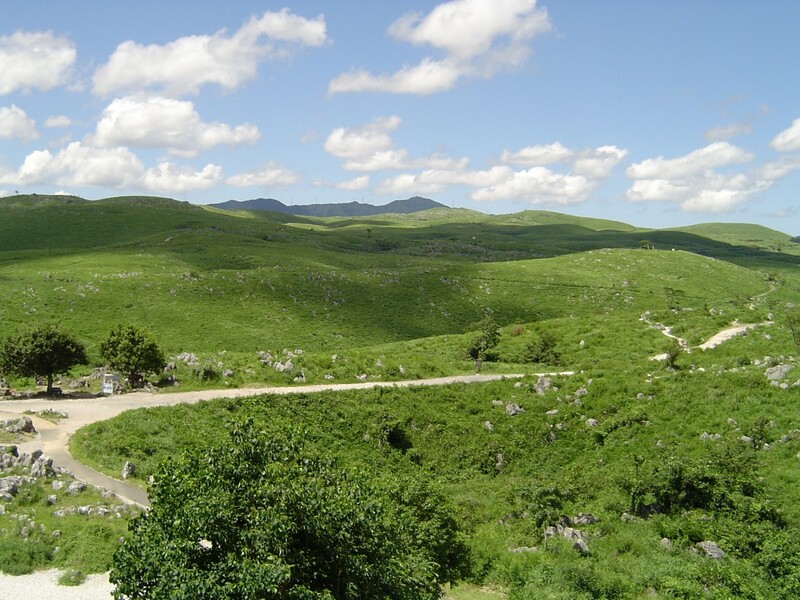 Driving along this road is great way to take in the scenery and to see dramatic portions of the Karst landscape. 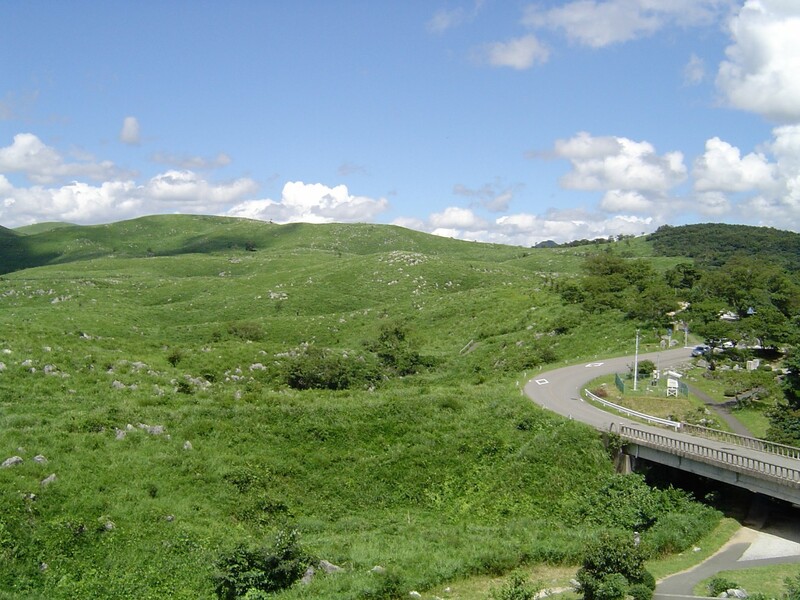 Near the south end of the plateau is a parking lot near a large viewing platform, museum and entrance to hiking trails which curve around the sinkholes and through the scenery. 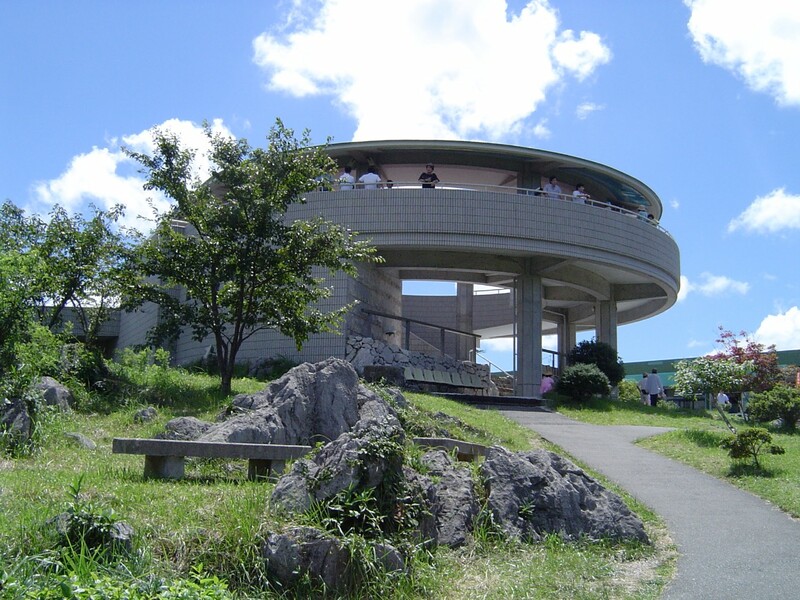 The Akiyoshidai Museum of Natural History (秋吉科学博物館) is free attraction across the road from the viewing platform. The exhibits are well up-kept but are a bit on the scruffy side and well past their best before date. It's still worth a visit. The price is right and there is plenty of good information on the history of the area's geology, biology and habitation by people. 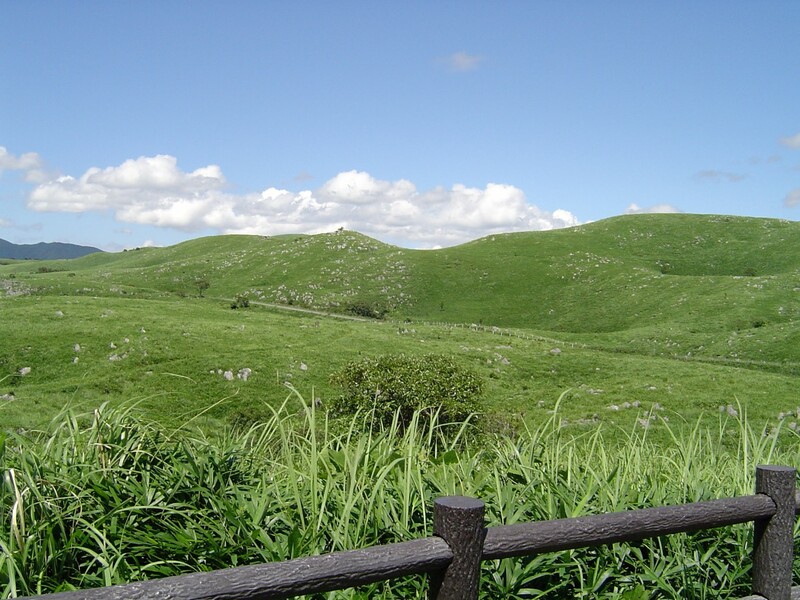 The dead grass is burned every year in late February in the Yamayaki (hill burning) Festival. Sirens sound and the fires are lit at 9 in the morning. Buses going to the cave entrance leave regularly from both the shinkansen station, Shin-Yamaguchi, and Yamaguchi Station in the city. As well, buses leave from Shimonoseki and less frequently from surrounding places. 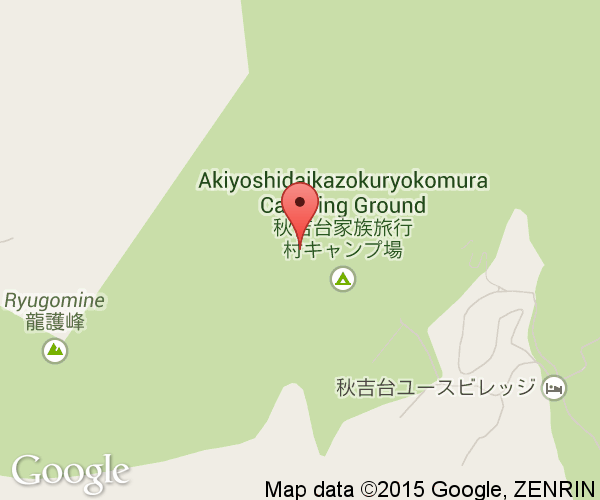 It takes about 50-60 minutes by bus to reach the cave entrance. Buses also run from the cave entrance to the plateau or taking a 10 minute taxi ride is also an option.